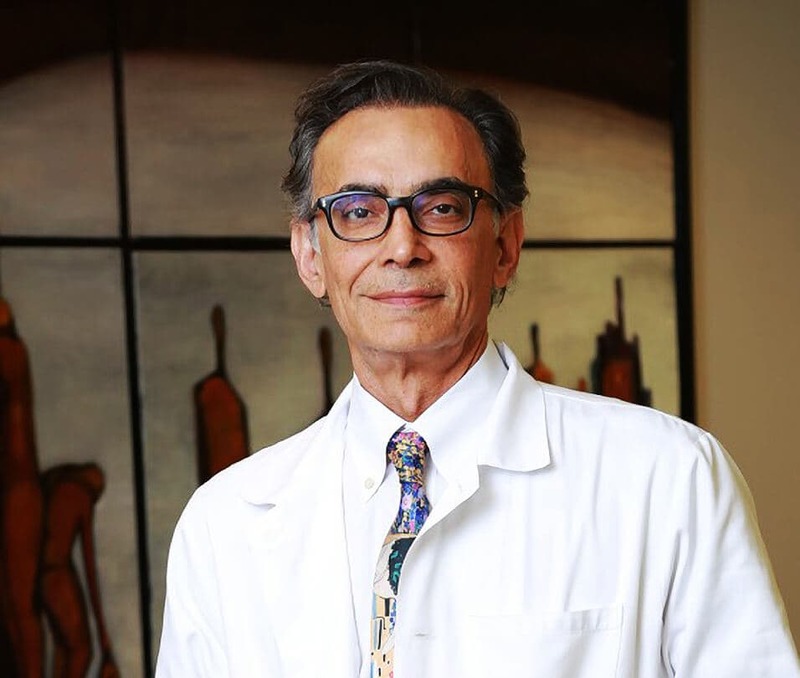 Dr. Saeed Marefat is a leading Virginia plastic surgeon offering a variety of cosmetic surgery procedures, including facial surgery, body sculpting, breast enhancement, liposuction, cosmetic injections, and non-surgical treatments. Dr. Marefat is board certified by the American Board of Plastic Surgery and has received advanced training at Georgetown University and New York University. He is affiliated with numerous hospitals throughout the Virginia area and is a member of many plastic surgery societies, including the American Society of Plastic Surgeons, the American Society for Aesthetic Plastic Surgery, and the American College of Surgeons. Dr. Marefat strives to attain natural-looking, youthful results that are subtle. He is dedicated to helping patients improve their appearance by achieving long-term improvements that inspire confidence. Please click the below links to learn more about Dr. Marefat and his plastic surgery office. Facial surgery can restore youthful-looking fullness to your facial features using a variety of different plastic surgery techniques. Over time, the face begins to lose collagen and elasticity, resulting in wrinkles, facial lines, and drooping skin. Virginia plastic surgeon Dr. Saeed Marefat can target the upper, mid, and lower face with facial rejuvenation. Facial plastic surgery procedures, such as a facelift and neck lift, can reduce wrinkling, fine lines, and sagging skin to achieve a younger-looking facial profile. Eyelid surgery can improve sagging eyelids, while brow lift surgery can reduce forehead furrows and wrinkles. Additionally, ear surgery can reposition outward-pointing ears, rhinoplasty can enhance nose symmetry, and facial implants can accentuate jawline definition and volumize the cheeks. Dr. Marefat can achieve natural-looking facial rejuvenation results at Metropolitan Plastic Surgery. For more detailed information on facial rejuvenation, please click the below links. Breast enhancement surgery in Virginia can improve breast shape and size. Breast augmentation using breast implants can increase the size of your breasts, while breast lift surgery can tighten and raise the breasts for firmer-looking results. Patients who would like to reduce the size of overly large breasts can undergo breast reduction. Dr. Marefat also performs male breast reduction (gynecomastia surgery) for men looking to sculpt the chest. Additionally, breast asymmetry surgery is available to restore a symmetrical shape and size to your breasts. Depending on your procedure goals, Dr. Marefat can combine multiple surgical techniques to achieve substantial enhancements to breast size and shape. Breast surgery is designed to yield natural-looking, long-lasting results. Please click the below links for more information on breast surgery. and fat grafting techniques. Dr. Marefat also performs arm lift surgery to tighten loose arm skin and thigh lift surgery to remove excess thigh skin, as well as body lift surgery to trim drooping skin following major weight loss. Muscular implants are another body contouring option available at Metropolitan Plastic Surgery to enlarge the arms or legs. For more detailed information on body contouring procedures, please click the below links. surgery. There are a variety of cosmetic injectables available, and each of these injectables offers different benefits depending on what you would like to have treated. Dr. Marefat can help you decide which cosmetic injectable would be best-suited for your particular needs and goals. For more detailed information on the cosmetic injectables that we offer, please click on the below links. Non-surgical treatments are among the most requested cosmetic procedures due to their ability to achieve natural-looking results with virtually no downtime. Dr. Marefat specializes in a variety of non-invasive treatments to restore a clearer, youthful-looking complexion and skin texture. Chemical peels, dermabrasion, and laser skin resurfacing can remove damaged skin cells from the surface of your skin to allow for fresh, healthy skin cells to grow. These resurfacing techniques are designed to reduce facial wrinkles, fine lines, and blemishes for a radiant skin tone. Laser hair removal can remove unwanted facial or body hair, and laser vein removal can target underlying spider or varicose veins. Please click on the below links for more information on our various non-invasive treatments. counteract the effects of facial aging. Laser hair removal can complement plastic surgery results by removing unsightly body hair or unwanted facial hair. Additionally, hair restoration is available at Metropolitan Plastic Surgery to combat male pattern baldness and restore a fuller, thicker head of hair using your own natural hair follicles. Please click on the links below for more information about cosmetic surgery for men. deformities of the hands, and microsurgery to repair structures of the body using an operative microscope. Additionally, Dr. Marefat provides scar revision, burn care, wound care, and excision of skin tumors, as well as treatment for congenital deformities (including cleft lip and cleft palate). Contact Metropolitan Plastic Surgery in Virginia to discuss cosmetic surgery reconstruction today. Please clink the links below to find out more information on the reconstructive procedures that we offer.